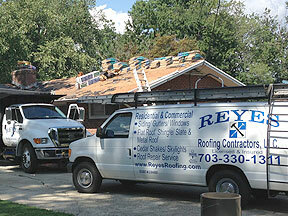 Reyes Roofing Contractors, LLC has more than 20 years of Annandale VA residential and commercial roofing expertise. If you live in or around Annandale VA and are looking for an expert roofer, Reyes Roofing Contractors, LLC is your area's leading roofing specialist! Our roofing company is based in Fairfax, VA and we have more than 20 years of residential roofing and commercial roofing expertise. Here is a sample of some of our roofing projects. A new residential roof will reduce energy costs, raise the market value of your home and provide long-lasting beauty and comfort. We install traditional shingles, architectural shingles, cedar shake, synthetic shake, metal shingles, TPO system, EPDM system, standing seam metal, synthetic slate and specialty tile roofs such as slate and spanish tile. Reyes Roofing Contractors, LLC also has experience in a wide variety of commercial roofing systems including built-up, modified bitumen, single-ply, standing seam metal, EPDM, vinyl slate, TPO, synthetic shake and torch roofs. 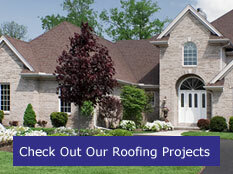 Contact us at Reyes Roofing Contractors, LLC with any of your roofing questions in Annandale VA.